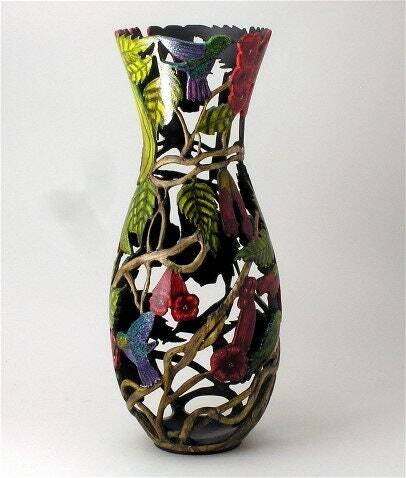 It's art in the shape of a vase. It's a collaboration between Patricia Avram(my wife) and I. 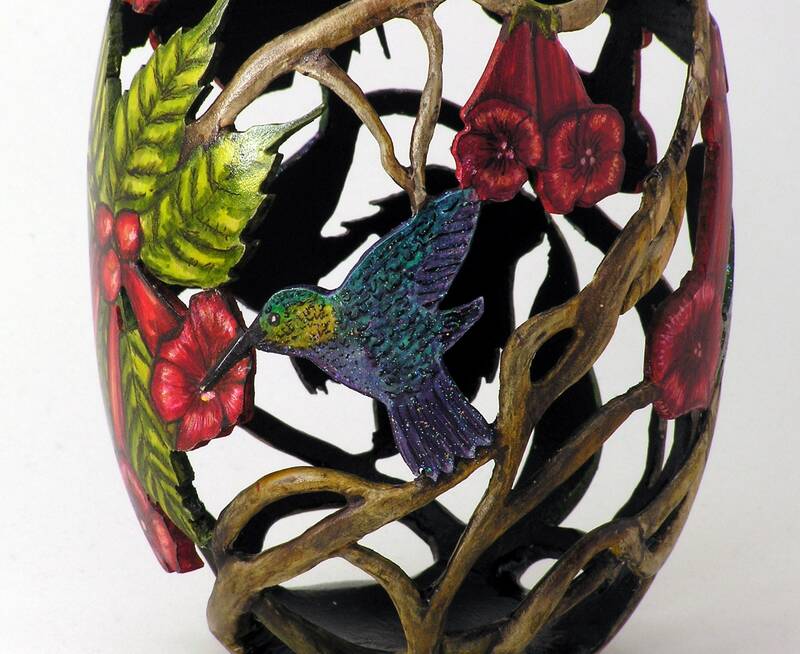 We have both signed it on the bottom and it represents hummingbirds on a trumpet vine . 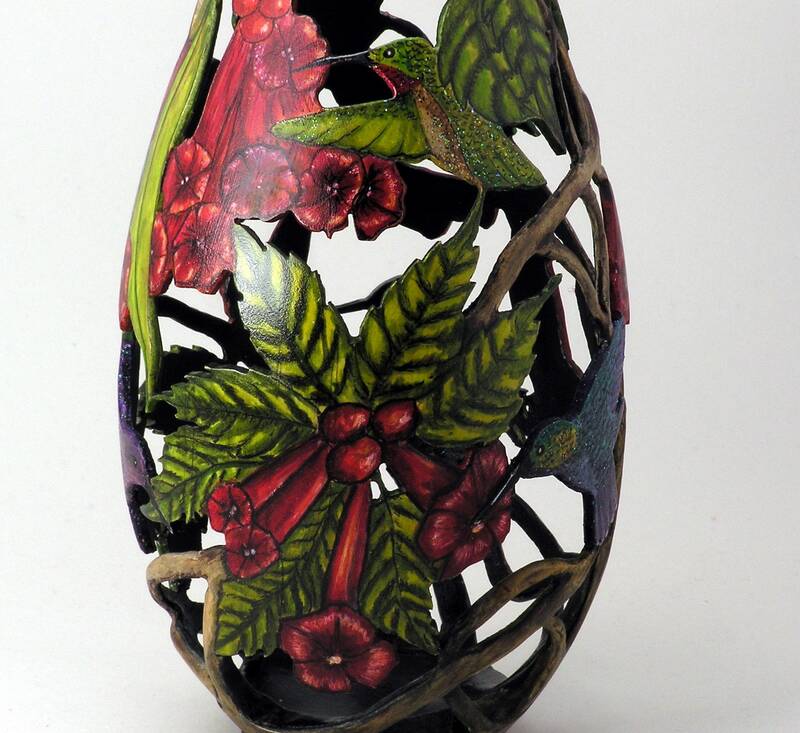 It is made from a piece of birch that was turned to a thickness of 1/8 to 3/16 of an inch and then carved to represent the hummingbirds on a trumpet vine. My wife then painted it which brings it all to life. Most of the painting was done with India ink but there is also some acrylic. 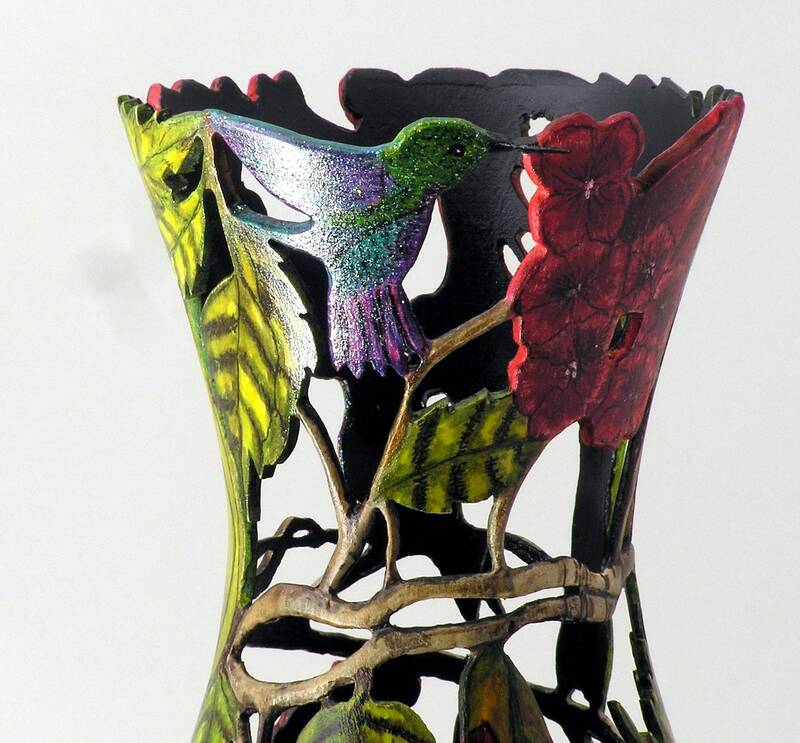 We took a little artistic license with the hummingbirds because we just felt like they needed a little sparkle. Hummingbirds are such adorable little creatures that a little sparkle just seemed appropriate. 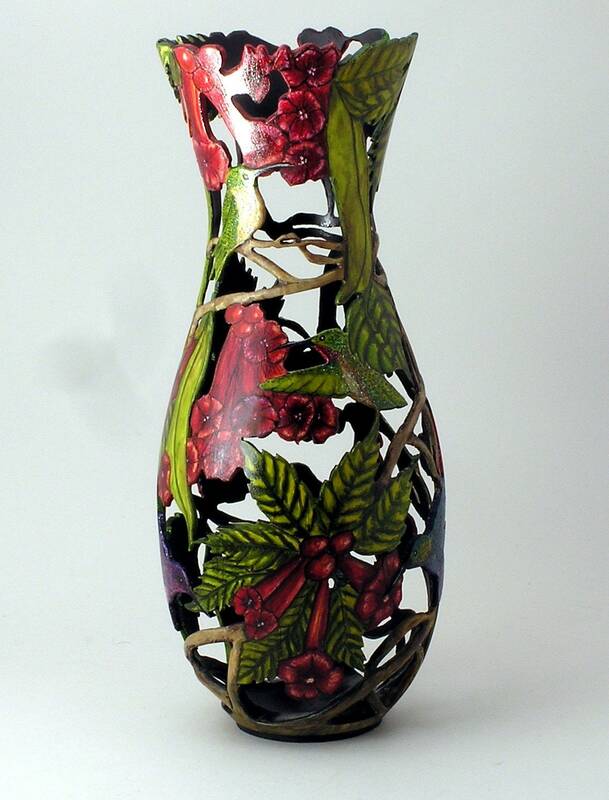 Between the turning, carving and painting there are countless hours in this piece and we are very happy with the results. I will ship free within the United States. For international shipping please contact me.